What forms of teaching and learning does the digital privilege and are those approaches aligned with what we want for language learners? How can we reach more learners more effectively? How does digital language learning complement face-to-face language instruction? What can/does hybridity in language learning look like? How can digital language practices connect students successfully across cultural and national borders to impact intercultural communication? Additionally, workshop participants engaged in Lighting Rounds, brief presentations by participants on topics related to digital language learning. The high point of the workshop was a Technology Test Kitchen, which provided a relaxed and playful space for talking about and experimenting with technology. The ODL looks forward to developing an online community of practice for participants in the AALAC workshop as well as for others interested in language and digital pedagogies. To alleviate some of the nervousness and stress associated with attending the program and taking the Language Pledge. To prepare students for the summer with lessons in the Cyrillic alphabet, basic grammar, and handy phrases that will help students navigate their first few Russian-only days. To give students a sense of belonging—at Middlebury, in a community of other students, and in the larger community of Russian language speakers. To meet these goals, the site incorporates lots of interactive exercises for learning Russian basics (with audio by native Russian speakers), videos that show students what life is like on campus, and a playful Language Pledge “challenge” that students can use to fully understand the limits and affordances of the Language Pledge. The site will launch officially on May 22, 2017, to give students about four weeks to explore, practice, and acclimate. Once students arrive on campus, they’ll continue to have access to the pre-immersion site, but will also enjoy a new in-language site currently under development in collaboration with the School of Russian bilinguals. Following through on the ODL idea that an instructional designer is a partner in pedagogy, Sean Michael Morris will be heading to Denver, Colorado this week to work with students, staff, and faculty at the Iliff School of Theology, on the University of Denver campus. Iliff supports a fully hybrid graduate program in which students take courses that begin online (in Canvas), but which meet once per term on-ground in Denver. Full time faculty are all expected to teach online, and most adjunct faculty do as well. Iliff has asked Sean to come talk to their group about design principles for inclusive, student-centered learning. While there, Sean will offer several workshops, including Critical Digital Pedagogy and Design, Critical Course Design, Teaching Online, and Advanced Hybrid Design. His visit is sponsored by the Associate Dean of Curriculum and Assessment, as well as the Academic and Information Technology group. During his visit, Sean hopes to bolster a community of teachers in their efforts to support student agency and community in digital environments, as well as demonstrate the kind of critical instructional design that ODL is doing at Middlebury. MiddCast is Middlebury’s podcasting channel. The site (still very much in the early stages) currently houses two podcast series: It’s Not What You Think, which is a companion to the on-ground storytelling events at the College; and Midd Made, a curated group of podcasts by students. ODL works with Erin Davis to produce audio experiences that capture the Middlebury experience. As we continue to develop the site, we hope to add more podcasts that will feature students, faculty, staff, and alumni. 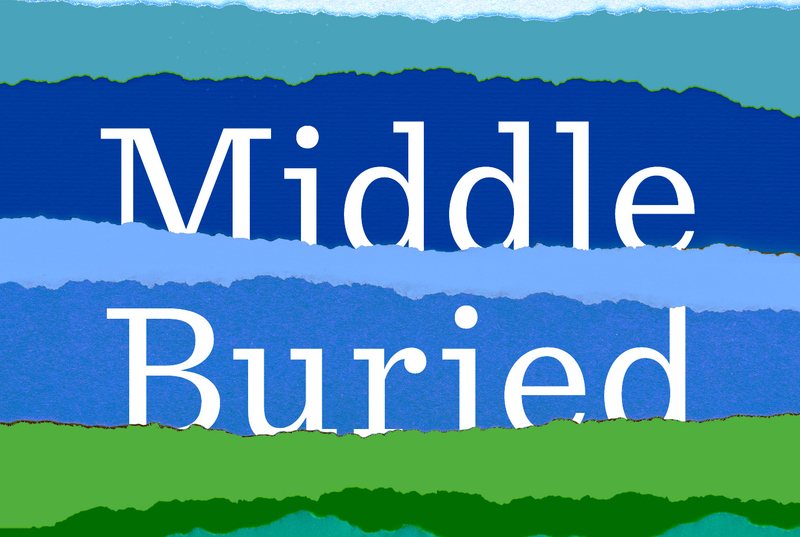 Very soon, we’ll be launching MiddleBuried, an original series hosted by Maya Goldberg-Safir, a Middlebury alumnus who returned to the Vermont campus during J-term 2017 to uncover some of the best audio stories buried under the day-to-day life at the college. The stuff that students have made. The stuff that students are doing. The stuff that’s just below the surface. The stuff that’s Middleburied. Stay tuned for more information (or check out the teaser today! ).